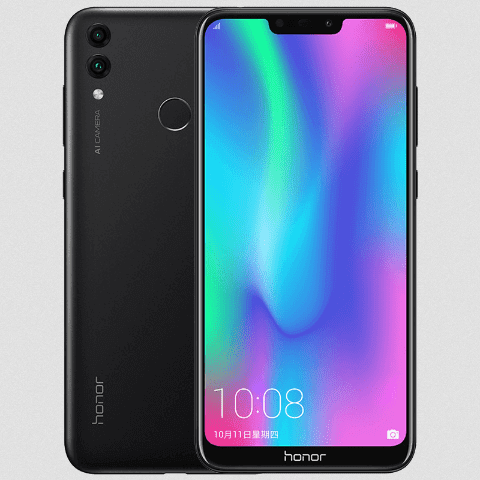 Huawei's sub brand Honor has launched a new mid-range smartphone dubbed Honor 8C in China which is a mid-year upgrade of the Honor 7C unveiled back in March 2018 and was powered by Qualcomm Snapdragon 450 chipset. 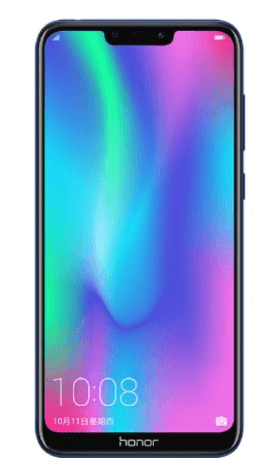 The Honor 8C features a 6.26-inch TFT LCD (IPS) display with an HD+ resolution of 1520×720 pixels and aspect ratio 19:9. The display is having an impressive 86.6% screen-to-body ratio with a pixel density of 269 PPI. 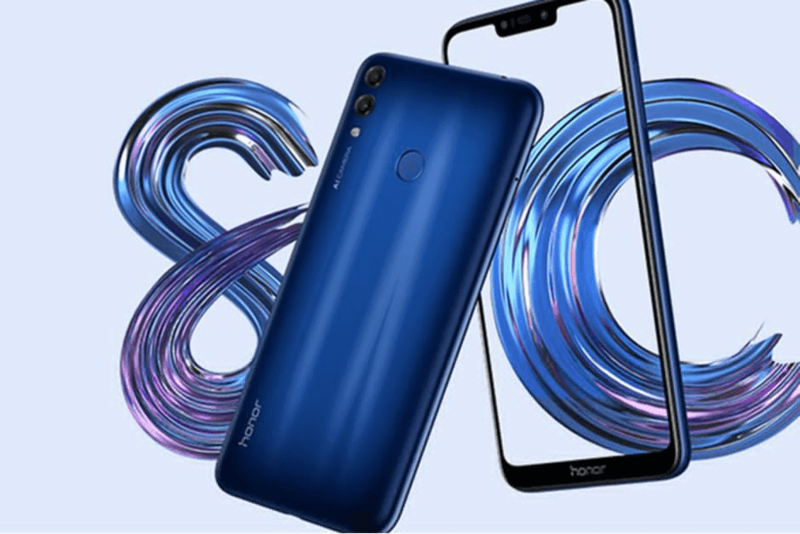 The Honor 8C is the first smartphone to be unveiled with the latest Qualcomm Snapdragon 632 SoC which was released back in June this year and the chipset features a 40% improvements over its predecessors, SD 625 and SD626 SoC. This processor is coupled with 4GB RAM and 32GB / 64GB internal storage options which can be expanded via a microSD card up to 256GB. The camera department features a dual rear camera setup with 13-megapixel primary sensor that has an aperture f/1.8 and 2-megapixel monochrome sensor with aperture f/2.4 it also supports autofocus, continuous capture and AI beauty feature. On the front there will 8-megapixel camera with aperture f/2.0 for selfies. The Honor 8C run on Huawei’s custom EMUI 8.2 based on Android 8.1 Oreo and will pack 4000mAh battery that supports 5V/2A (10W) charger. 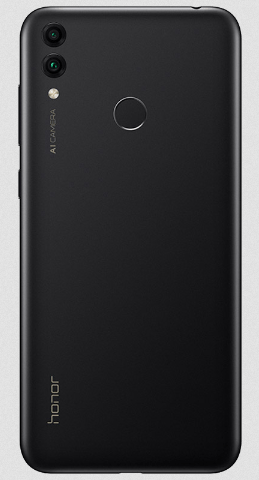 The connectivity features included are 4G VoLTE, single-band Wi-Fi 802.11 b/g/n, Bluetooth v4.2 LE with aptX, GPS/ A-GPS, GLONASS, BeiDou, a Micro-USB port, and a 3.5mm headphone jack. The smartphone The phone’s dimensions are 158.72x75.94x7.98mm and weight is 167.2 grams. 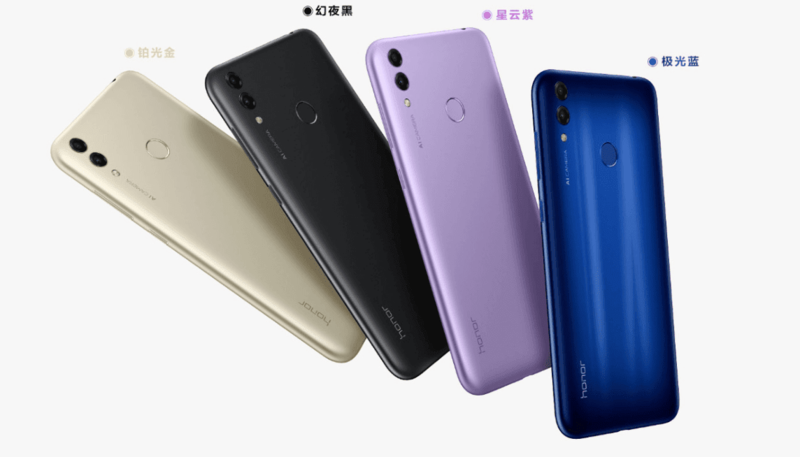 The Honor 8C is having a price tag of 1099 Yuan ($158 US dollar ) for the 4GB+32GB variant and 1,399 Yuan ($201 US dollar) for the 4GB+64GB model. The device will be available in color variants such as Magic Night Black, Aurora Blue, Platinum Gold and Purple.